Paul Nimmoreviews Matthew Rose's, Ethics with Barth: God, Metaphysics and Morals (Ashgate, 2010). This is a very substantial review, both in terms of size (over 4000 words) and depth of engagement, and is therefore a must-read for those who work in Barth or ethics. The review is currently set to be republished in the ZDTh later this year, but you can read it first by following this link! As I teach undergraduates, I continue to pile up examples of folks for whom basic Christian theological convictions seem like nothing more than mind games. For instance: classical christology, with its talk of natures and hypostases and such, seems more like a mildly interesting word-game at best, rather than the sort of critical exercise is faith-seeking-understanding that the church fathers understood it to be. Grasping why this language and these concept games are important ultimately requires that they be placed in soteriological perspective, and it is certainly the case that soteriological concerns drove the development of classical christology. It is this integrated christological/soteriological dynamic that Rudolf Bultmann seems so intent on capturing and communicating, albeit in an entirely different time and place than did the fathers. This has been in circulation since Monday, and it is time to acknowledge it here as well. The Other Journal has published a short essay I wrote for them entitled, “The Blame Lies with the Christians: Helmut Gollwitzer’s Engagement with Marxist Criticism of Religion.” This essay discusses a touch of Gollwitzer’s biography dealing with his interaction with Marxism, before spending most of its time elucidating both what Gollwitzer made of the Marxist criticism of religion (as I describe his thinking, “Marxist criticism of religion is the weaponization of Feuerbach’s criticism”), and what impact it had on Gollwitzer’s theology. Here is the conclusion to wet your appetites. Be sure to surf over and read the whole thing! Well, it has only been a week since the last link-post. But, as I have repeatedly commented, my back-log for this has been rather deep and I want to clear it out a bit. Not much has gone on here at DET. There was a post about a talk I heard from Stephen Prothero, and a Book o’ the Month post about Bultmann, Otto, and the “Wholly Other.” So check those out if you haven’t yet. And now on to other the other interesting stuff around the theo-blogosphere. Ok, so that phrase usually signals a corny joke. But in this case, it might have been true! Bultmann and Otto used to take walks together in Breslau and, being good Germans, at least one of those walks had to include popping in for a stein. In any case, on one of those walks in 1916 Otto explained to Bultmann the contours of the project that would become The Idea of the Holy, published the next year. Otto’s text is well known in both theological and religious studies circles, and its primary concern is to elucidate the concept of the “numinous”—also referred to as the “Wholly Other”—and how it encounters humanity through religion (which it does either as mysterium tremendum or mysterium fascinosum). Last evening I had the distinct pleasure to hear Stephen Prothero, Professor of Religion at Boston University, give an address. Given the events of yesterday and Prothero’s home institution, the evening began with the observation of a moment of silence. 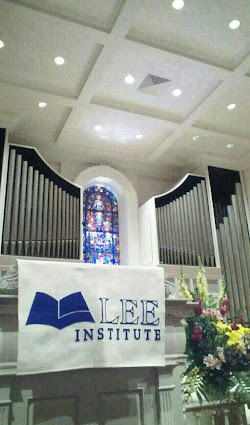 Prothero’s talk was hosted by the Lee Institute, an organization associated with Ladue Chapel Presbyterian Church (USA). I first became acquainted with Prothero’s work through his book, God is Not One: The Eight Rival Religions that Run the World. His burden in that volume, in conjunction with introducing and explaining the engine that drives these eight religions, is to argue that the religions are not all different paths up the same mountain: rather, they are each interested in and develop explanations for different aspects of the human condition, with problems and answers to those problems that are fundamentally different from one another. It is a very good and informative book, and I highly recommend it. Things have been busy here at DET since the last link-roundup. And not only here. The theo-blogosphere has been going at a good hum the past month or two, and it is a challenge to keep up with all the good posts out there. Thankfully for you, gentle readers, I have collected some of the good ones and gathered them here for your perusal. But before we get to them, here’s the local stuff. I thought that I would depart from the beaten path for this installment pertaining to April’s Book ‘O the Month, and present you not with some weighty prose by or about Bultmann. Perhaps my dear readers, I thought, would find a snippet of his poetry both refreshing and engaging. By now I'm sure most folks have heard that Google will but shutting down its Google Reader system on July 1, 2013. If you are interested in that sort of thing, here is one piece of analysis concerning this move that I thought was interesting. "But wait, why are you talking about this on DET, the theoblog known for its dry, boring, but none-the-less incredibly stimulating theological fare?" This past week Luther Seminary hosted the Upper Midwest joint regional meeting of the American Academy of Religion and Society of Biblical Literature. Though I didn't present a paper I attended a few sessions, mostly of current or recently completed PhD students at Luther. So, in this brief "sampling" you can get an idea not only of how AAR went, but of the various projects some students are working on at Luther. Adam Johnson reviewsJeremy J. Wynne, Wrath Among the Perfections of God’s Life (T & T Clark, 2010). Be sure to check it out ! I went to the national meeting of the American Academy of Religion back in November (2012). As those in the academy know, one of the best parts of this conference is the bookseller’s exhibition hall – a huge room full of books from various publishers in the broad field of religious studies, all showcasing their newest titles and offering a deep discount. I bought one book, and only one book. And this was it. Konrad Hammann, Rudolf Bultmann: A Biography, trans. Philip E. Devenish (Salem, OR: Polebridge Press, 2013). This volume was hot off the presses, and I didn’t wait for it to cool before I read it (it is on the list of books that I read last year). It was a captivating and illuminating read, and I heartily recommend it to all students of modern theology. Seriously. Scrape together the funds immediate to buy and read this book.